Shopping for Captain Marvel Wallets? Show the world that you're ready for action! 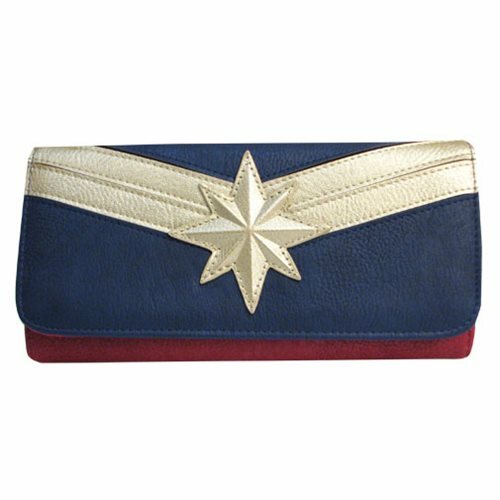 Based on the powerful Captain Marvel, this wallet follows the heroine's navy blue, red, and gold coloring. This beautiful faux leather wallet features applique detailing of Captain Marvel's emblem. The Captain Marvel Faux Leather Flap Wallet measures approximately 8-inches wide x 4-inches tall. Ages 14 and up.